In this episode, Luke & Jed discuss Jake Howard’s incredible run: all he does is win E.T. Finals (that’s 5 in 3 years, and 3 in 3 weeks for those keeping score at home). 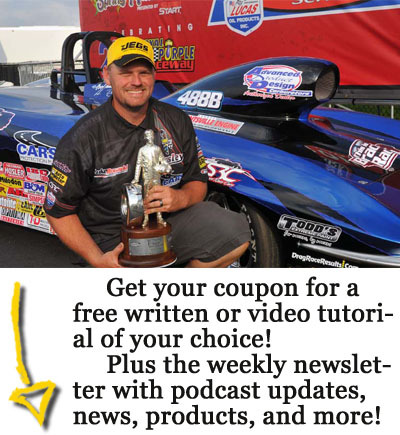 Luke took a deeper dive into the NHRA national points chase in Super Stock, Super Comp, and Top Sportsman to break down the championship contenders and their odds. The guys closed the show with a couple of listener e-mails that depict some unique and thought provoking situations (re-runs, points implications, gifted rounds, etc.). Plus the usual nonsense: BTE Who’s Hot, What’s On Tap, Shoutouts and more.